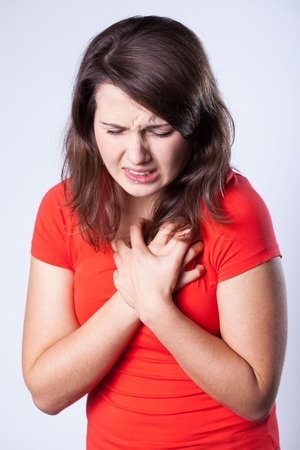 Fibromyalgia chest pain can be one of the scariest symptoms of fibromyalgia because it may feel like you are having a heart attack and cause you great concern. This kind of pain can stop you in your tracks. It can have you wondering "is this life threatening?" In the end, it is likely to come down to a few different scenarios when living with fibromyalgia. More specifically, SIX of these possible scenarios that I will touch on here today. 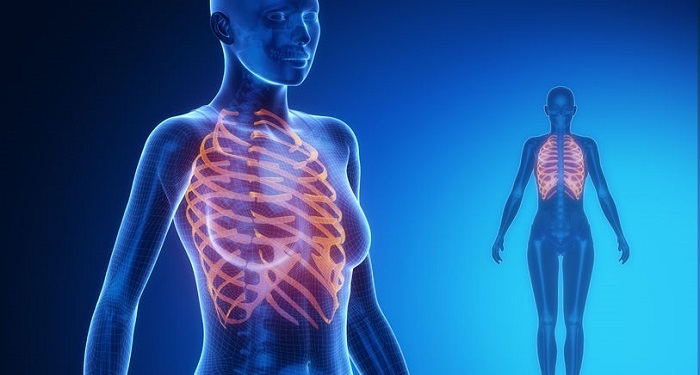 Costochondritis often produces sharp pain that can feel much like a heart attack or symptoms of other serious heart conditions. This is why the first occurrence often sends sufferers to the emergency room or to their doctor’s office in a panic. Read the link here in this paragraph if you haven't yet where I give other cautions on these symptoms. You might often hear me say that people with a chronic illness like fibromyalgia tend to be shallow breathers. Or, as I like to say “Don't be a shallow Hal! !” You see, when you are in pain anywhere in the body, it is not uncommon to stifle your breathing, and often times you don't know you are doing it. So what happens is that the chest area is one of the areas that "takes the hit" so to speak, along with the shoulders. So you can find yourself with stifled breathing, tight shoulders and what I call that “stress pain” around the pectoralis muscles of the chest. 5. There will be times when the heart muscle will be involved. You certainly do not want to be too concerned, but if you are at greater risk for heart disease or stroke, you can read more here. Fibromyalgia and the Heart Muscle. Gallbladder and bile duct disease are more common these days. I believe in adhering to an anti-inflammatory diet and moderate detoxing of both the liver and gallbladder. Follow my suggestions throughout the website.